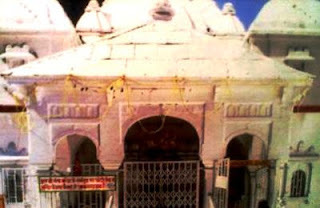 The history of Gangotri: - Gangotri is temple of Goddess Ganga who is one of the wives of Lord Vishnu. The history of Gangotri is arrives from the King Bhagirath who was a Great king. The king Bhagirath pray a long time to lord Shiva for gave the Ganga river on Earth to wash the all evils of humans, and after a long time of the prey lord Shiva happy to see their determination then they give him blessing and tell him “ I sending the River Ganga with you”. Then The King Bhagirath walk in front of river Ganga and river Ganga was coming back of the King , but when he reaches in Haridwar, then he think River Ganga is coming or not coming with him after that he turn back a then he saw the river Ganga is coming with him but at this time the River Ganga says him that only my water is wash all evils of the human from start to Haridwar. Then he pray again to Goddess Ganga for Forgive Him, and then The Goddess Ganga tells him my water is only wash evils on another main place which are Allahabad, Gaya, Varanasi. And it should be also known as “Ganga Avatran Story in Earth”. By Road: - Gangotri is well connected by Roads from Other cities. By Trains: - Nearest Railway st. is Rishikesh. Distance is 248 Kms. By Air: - Nearest Airport is Jolly Grant Dehradun. Distance is 263 Kms. Best time to Visit: - May to July 1st and Sept. 15th to till closing date on November.